A remote control car is one of the favorite gifts kids would love to receive. Actually, even adults are also into RC cars as their hobby. This toy helps improve the creativity and imagination as well as problem-solving abilities of the adults. For your kids, the toy cars can help them with their cognitive and psychomotor development. It’s because of this why parents usually flock the RC section of the toy store. At present, there are hundreds of remote cars that you can choose from. Make sure that you choose the one that is safe for your kids. Here is the list of the 15 best remote control cars for kids that you can consider buying. As the name implies it is easy to operate, this is one feature that makes Fisher Price RC cars popular. All you need to do is to press the left or right button to make it move and turn. You can adjust the level of speed from beginner to expert depending on what your kid prefers. 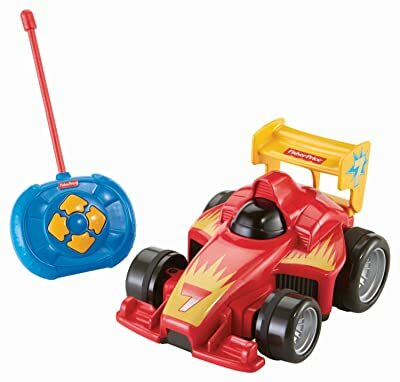 The four driving ways of Fisher-Price RC are left, right, forward and backward. 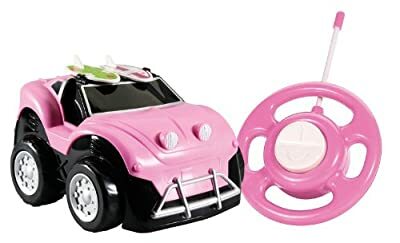 This toy car automatically turns off when not in use, thus it conserve its battery. 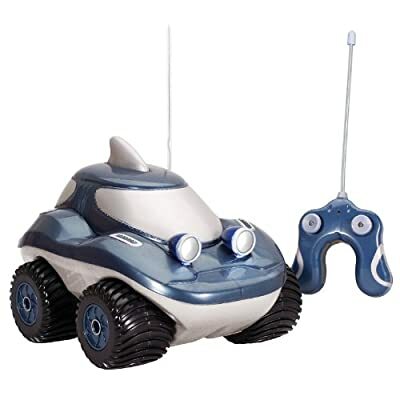 The parents and kids love this Fisher-Price remote control car because it is available in cute and attractive design. For young kids that are starting to develop their cognitive and psychomotor skills, the Holy Stone RC Cartoon Car is a good option. It has several features that are very helpful for kids on the developing stage. This RC car has great music, flashlight headlight, can move forward and reverse left and has honking sound. You can also detach the driver from the car. Parents love the Holy Stone RC car because they believe that this toy is safe and helpful for their kids aside from being cute and fun. 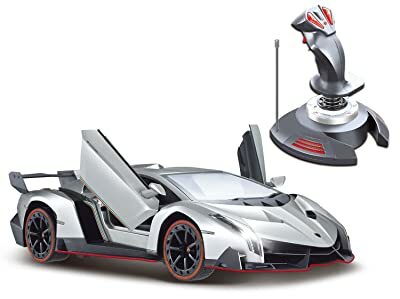 This RC car is designed like a Lamborghini with vibrant headlight if you move it forward and has red taillights if you move it backward. 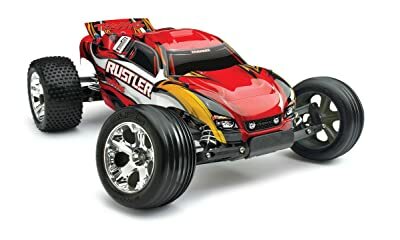 This sports racing remote control car is officially licensed with an 8 to 10 MPH speed and a remote distance of 30 to 40. It is easy to operate, with rechargeable battery and screwdriver. The remote control requires 2 double A batteries while the car needs 3 triple A batteries. This toy car is fun to play with as if you are really driving a Lamborghini. 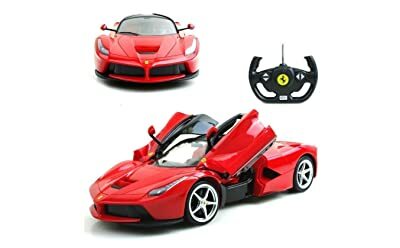 This remote control car is perfect for kids and adults who love the prancing horse. The radio controller is shaped like the steering wheel of the actual LaFerrari. Rastar comes complete with all the functioning features of the real Ferrari car including the butterfly doors that open like a scissor-type door. Scale Ferrari model car has a remote distance of 30 feet. It resembles the real Ferrari with its working lights and color. 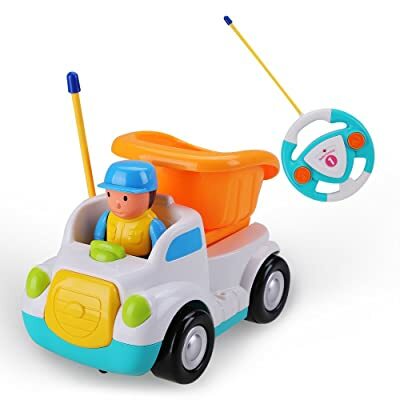 The toy car has an all-independent spring and functional suspension system which makes it easy to navigate in and out of your home and also in outdoor areas with a flat and smooth surface. Rastar maximum speed is 10mph may be negligible as compared with the 220 mph top speed but it can go as fast as it can. Because the design is as close to the original it is great for enhancing your child’s imagination. 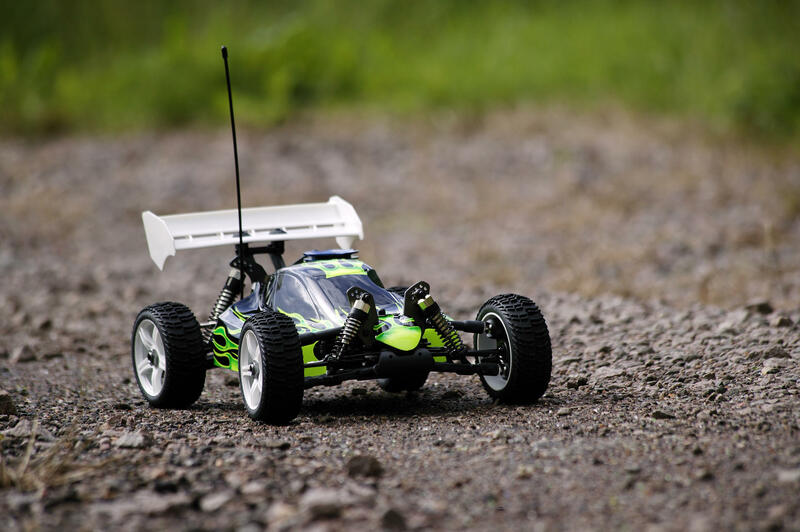 The Babrit Newer RC is for kids who love to have an off-roader that is easy to control. It has full rubber tires with deep treads for better traction on any terrain, be it on rocky terrain, sandy beaches, or on the pavement. Each wheel has an independent suspension system that enables the best contact with the surface. The toy has shock proofing technology to keep the sensitive electronics protected inside the body of the car. The engine is powerful enough to push the crawler up into steep surfaces of up to 90 degrees. The HAK101 Tornado Stunt car is one of the top remote control cars for preschoolers and toddlers. It has a unique 3-point axle system that even your child can tumble on it upside down. 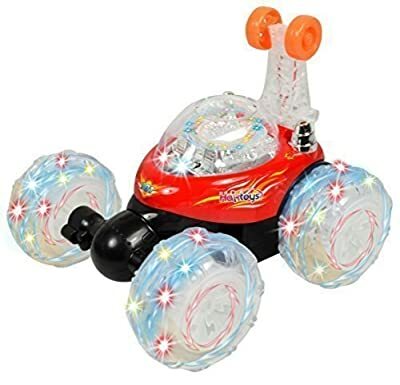 This remote control car has a variety of LED light effects. Kids can play on it for up to 150 minutes when in full charge which normally takes two to three hours. The combination of LED light and stunts make it very stimulating for young children that can benefit their continuing brain development. With USB charger provides 1-1/2 hour charging time while others require 3 to 4 hours. The remote control has integrated plastic antenna for child safety others have a thin metal which breaks easily and shows safety hazard. The Holy Stone Lamborghini is an accurate representation of the multi-million dollar Lamborghini Veneno. This is something that teenagers would really want to have. It has an automatic door with LED lights. 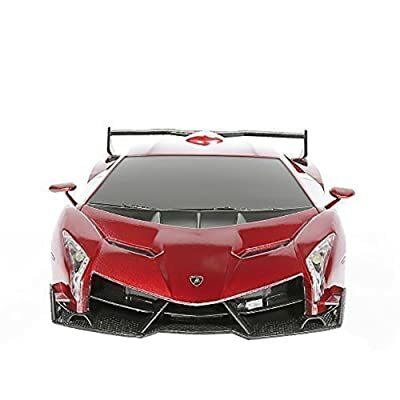 The car has a top speed of the 1/14 scale Lamborghini at 20 mph and although it may look like a snail speed as compared to its original it is quite fast for RC car standards. Its joystick is similar to a flight simulator. This toy is recommended to enhance dexterity and the high-end gaming joystick such as radio controller for one-handed operation. This radio control car has a low gear and two motors and is part of its design. It operates in the rugged areas off the road. The Maisto R/C comes with articulated suspension for the front and the back. The car has tri-channel transmitter and TPE tires installed, you can operate this securely off the road with ultra-gripping action. 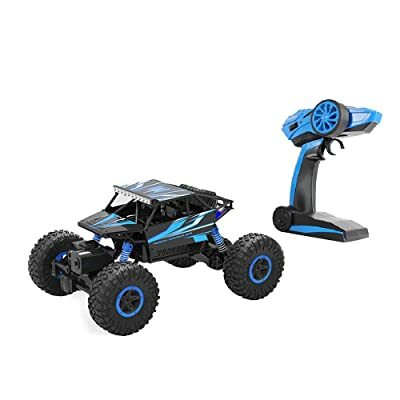 This remote control car need six double A batteries for the vehicle to run and two triple A batteries for the remote controller, these batteries are not included in the package. 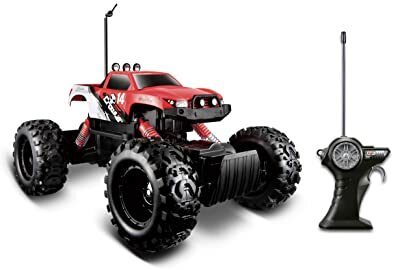 Aside from having an attractive design, the Maisto Rock Crawler remote control provides your kid more power, control and with high articulation. The car has multi-suspension with shocks that feature coil overs. Maisto Rock Crawler can climb tall rocks that will surely excite your kid and make them add this to their list of cool toys. Your kids will be delighted with this user-friendly remote control car. Even if it is full of amazing features, it is easy to use. Actually, your kids can learn the trigger and wheel combo easily. With its long battery life, your kids will surely have a good time for a longer time. 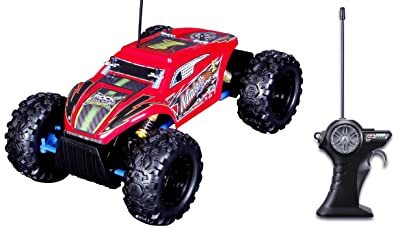 This remote control car has Titan 12-Turn 550 motor and XL-5 ESC that provides speeds up to 35 mph. Traxxas RTR is waterproof parts for all types of weather, it can drive in the water, snow, and mud. It includes 7-cell NiMH battery with iD technology and four amp 12-volt DC peak-detecting fast charger for reliable charging. The Traxxas RTR has 6 stunning color ProGraphix body and a decal set with bold 2.8 inches mirror-chrome All-Star wheels making this Rustler a standout. It has a TQ 2.4GHz radio system ergonomic design that is comfortable for all-day driving and the internal antenna is resistant to damage. The design is slightly outdated than other modern RC trucks. This extreme version of Maisto surely lives up to its name. It has two motors responsible for the powerful performance of the car. The remote control vehicle enables the users to control it over both in the rough and smooth surface. Maisto extreme has large tires with deep and wide treads that provide optimum traction on the rocky, sandy and muddy area and it lessens skidding on slippery surfaces. Maisto Extreme has tri-channel transmitter that is a great feature. It allows three children to play it. You can set-up a challenging play that improves the kid’s sense of competitiveness and cooperation depending on their mood. The remote control does not have precise control over the steering and throttle. This remote control car is suitable for children 2 to 15 years old. The Kid Galaxy Baja Buggy is easy to control. Your toddler will not have a hard time to drive it over a smooth surface after several tries on his own. The older kids will enjoy using its steering wheel-shaped like radio controller. The Baja Buggy car has a sturdy body without pointed or sharp edges and small components, therefore, it is safe for little kids. The car movements are simple – forwards and reverse but that is what kids need. Your kids can master these basic movements first before they progress to the toy cars with more complicated controls. Once they learn the controls, they will know the cause-and-effect relationship between moving the controls and the toy car movements. This remote control tractor is made of high-quality material and is very detailed similar to the one being used for indoors and outdoors. The tractor will work on various frequency as the Top Race TR-112 Dump Truck so you can buy both and play with them without radio control interference. This toy will provide you many hours of fun. The functions are as follows – forward, backward, arm up and down, sound, left, right and lights. The Top Race TR-113 is Ready-to-Run no need to assemble it. Make use of three double A batteries. Charging it for 30 minutes will provide you 15 to 20 minutes of fun. 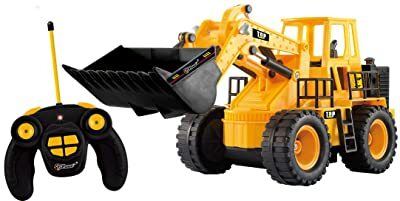 The most amazing feature of this toy is that it works like a real excavator. All the parts of the radio-controlled tractor including the shovel are controlled by the transmitter. You can actually shovel pebbles or mud using this RC tractor in real life. Age-friendly recommended for ages three years old and older. There are some complaints that vehicle stops accepting the voltage levels. The Darth Vader Remote Control car has the sight and sounds that other would fear. This car is perfect for Star Wars fans. The design is 1:18 scale with the elegant black shape of the vehicle adapted on Darth Vader’s helmet. The red light saber glow in the running boards. It emits Darth Vader sound effects if it moves forward for maximum intimidation. If you press the button on the hood it will activate the same sound. You can control the car using the wireless remote control. One can hunt the rebel forces with an impressive range of more than 50 feet. 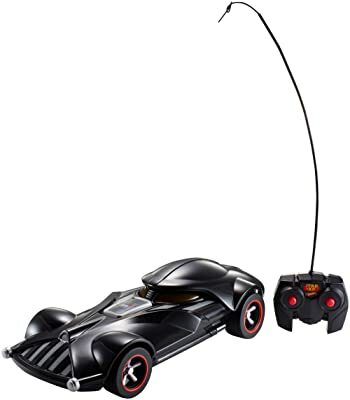 The package includes a wireless remote control, RC car, rechargeable battery, and controller. Each part is sold separately. The colors and decors may vary. It requires four double-A alkaline battery. The Kid Galaxy Amphibious can drive through dirt, sand, grass, pavement, and mud. Awarded with Oppenheim Gold Seal Best Toy for because it helps enhances the lives of children. It paddles wheel treads into the water. Very durable it can go to all terrain tire power over an obstacle on land. The skid steering is easy to control. To make this ATV moves forward if you push both levers forward. To go backward push both levers back. If you want it to turn push just one forward. The Kid Galaxy Amphibious is designed for children 5-year-old and above. It needs 2 triple-A and 3 double-A batteries to function. In order to operate multiple Morphibians at the same time, each vehicle must run on a different frequency. 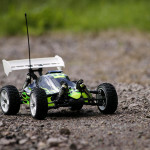 Choosing the best remote control cars for kids is more than just picking the most fully featured car available. We suggest that you buy the one recommended for your child’s age. Some remote control cars are recommended for kids 3 years old and below. These toys do not contain small parts and it does not have harmful chemicals. There are also some RC cars recommended for 5 years old and above. Focus on the small parts and unique features when choosing. Your kids can start with something slower, like the Rock Crawler Extreme. It offers simple controls, large wheels and a stable platform. Even if it runs at low speeds, it is fun to drive and gives children a chance to figure out remote control cars. Do you find this review helpful? You can share this post with others.